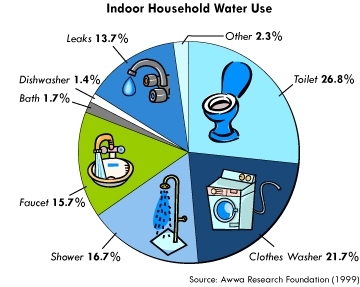 Aside from a home’s plumbing, there are multiple areas around a dwelling that can also be responsible for water waste such as washing machines. Instead of washing partial loads of laundry and dishes, make it a point to only use clothes washers and dishwashers when they are full. This can save thousands of gallons of water each year. he faucet off when water flow is not needed for rinsing. installed that uses less water per flush. While these are just a handful of steps you can take to keep water bills at manageable levels, they should get you started.